Baby steps, or big changes? Satya Nadella, if you haven't heard, has succeeded Steve Ballmer as Microsoft CEO. A one-time Sun Microsystems employee and Microsoft veteran of 22 years, Nadella is only the third man to head up the Redmond giant in its 38-year history. No pressure, then. Nadella has outlined his vision for the company's future in a passionate email to its workforce. In his own words, here are some potential first moves he might make as leader of the world's biggest devices and services company. Early on in the email, Nadella writes that he joined Microsoft back in 1992 to "change the world through technology that empowers people to do amazing things." There are arguably fewer developments in tech with the potential to do that than the so-called "Internet of Things" (IoT), so it's unsurprising to find it given a prominent nod. And no - it's not just about fancy kettles and toasters. He writes: "The co-evolution of software and new hardware form factors will intermediate and digitize - many of the things we do and experience in business, life and our world. This will be made possible by an ever-growing network of connected devices, incredible computing capacity from the cloud, insights from big data, and intelligence from machine learning." Of course, Nadella will also be keen to avoid ballsing things up when it comes to major tech trends during his tenure, as his predecessor Steve Ballmer did during the early days of the smartphone (remember when he laughed off the iPhone's chances?). He needn't worry - Microsoft has been making noises around IoT for some time. It released Windows Embedded 8.1, its operating system designed to power the potentially billions of internet-connected "things," back in October 2013. The company is also positioning its Bing platform as a backbone for third-party developers to build a multitude of IoT apps and services upon using its APIs. It's possible that Nadella will be looking toward big data solutions to glean insights from internet-connected devices to shape new products and services for businesses and consumers. It's all entwined with machine learning, another area the company could feasibly tackle on the back of its massive R&D budget. According to Booz & Company, Microsoft ranked fifth in the world for R&D spend in 2013 at $9.8 billion, above IBM (16), Google (12) and General Motors (11). 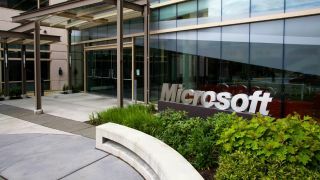 Mobile will play a huge role for Microsoft on its journey to becoming a cloud-centric company, something that was hammered home when the company splashed out $7.17 billion on Nokia's devices and services division back in September 2013. The acquisition led to the Finnish company's then-CEO Stephen Elop being touted as Ballmer's successor all the way up to the confirmation of Nadella's appointment. Nadella writes: "In our early history, our mission was about the PC on every desk and home, a goal we have mostly achieved in the developed world. Today we're focused on a broader range of devices. While the deal is not yet complete, we will welcome to our family Nokia devices and services and the new mobile capabilities they bring us." It wouldn't be crazy to suggest that the survival of Nokia's handsets (and by extension Microsoft's own Windows Phone OS) was a key motivator behind the move, but that's not the whole story. Cloud-based apps and services are served to millions of smartphones and tablets owned by consumers and business users on a daily basis. In that sense, the acquisition was a key move in the company's battle for the virtual skies. He continued: "As we look forward, we must zero in on what Microsoft can uniquely contribute to the world. The opportunity ahead will require us to re-imagine a lot of what we have done in the past for a mobile and cloud-first world, and do new things.